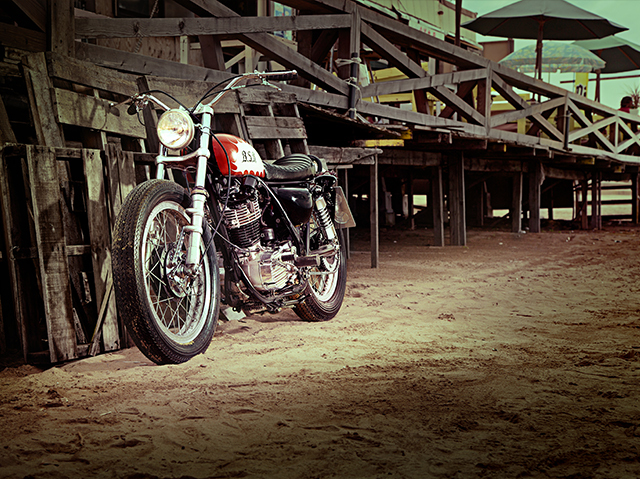 Yamaha Yard Built - SR400 B.S.R. 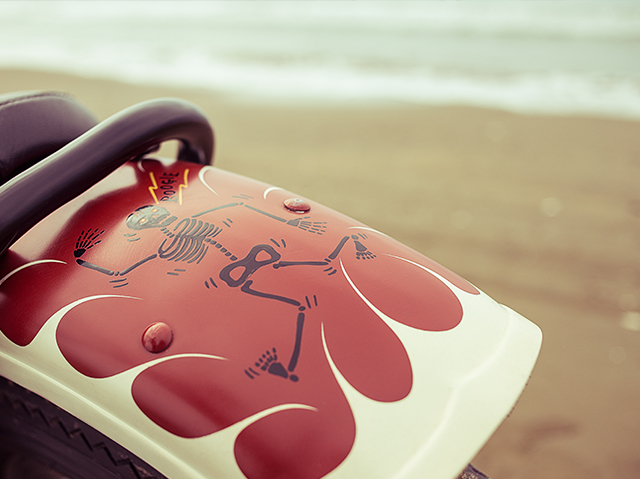 Built by Brat Style, the SR400 Boogie Single Racer epitomizes those crazy summer Sundays spent tearing around a secluded beach while competing in a sand race. 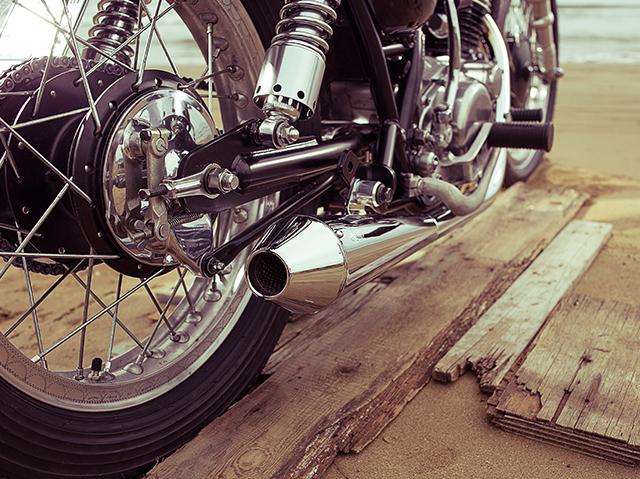 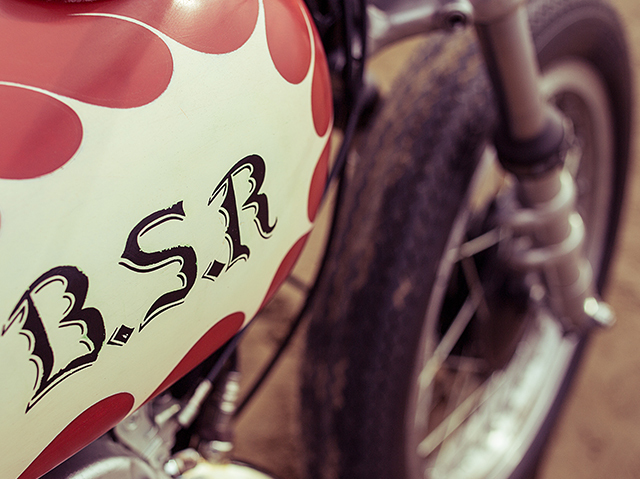 However the SR400 B.S.R represents much more than just a stylish special. 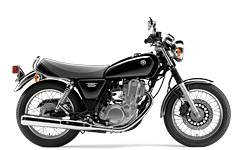 This is the first time that a model in Yamaha’s new Sport Heritage segment has been customized by a Japanese bike builder and therefore marks a return to very roots of the project. 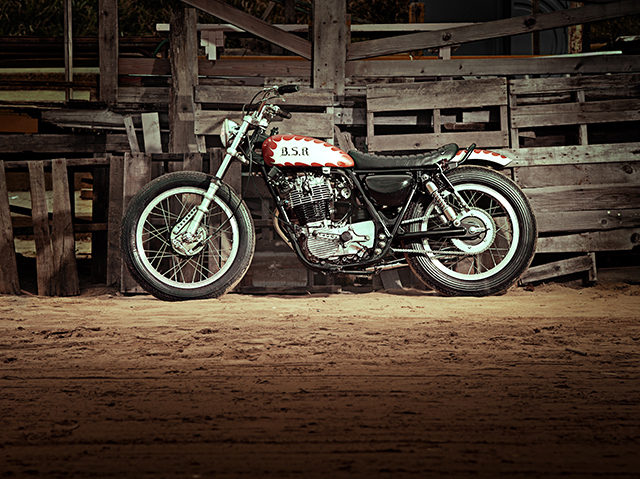 It was the thriving Japanese custom bike scene that provided the inspiration for Yamaha to launch the Sports Heritage concept and the B.S.R perfectly encapsulates this new segment’s spirit with its ‘less is more’ approach. 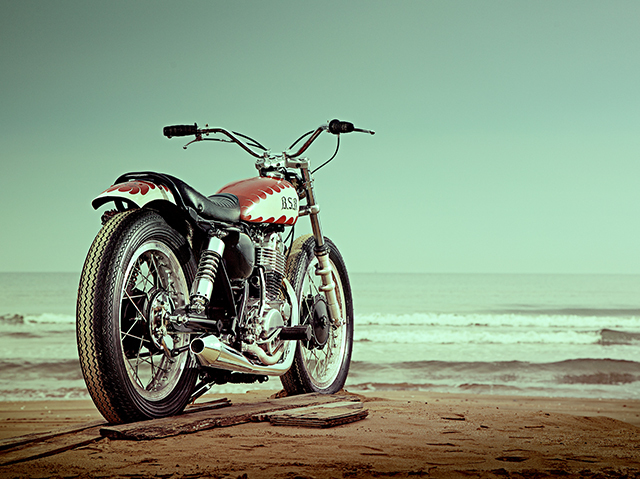 Having worked on over 100 Yamaha SR400 and XS650 customer projects over the last 16 years, Go Takamine, owners of Brat Style knows the unique philosophy that makes Japanese customization globally renown. 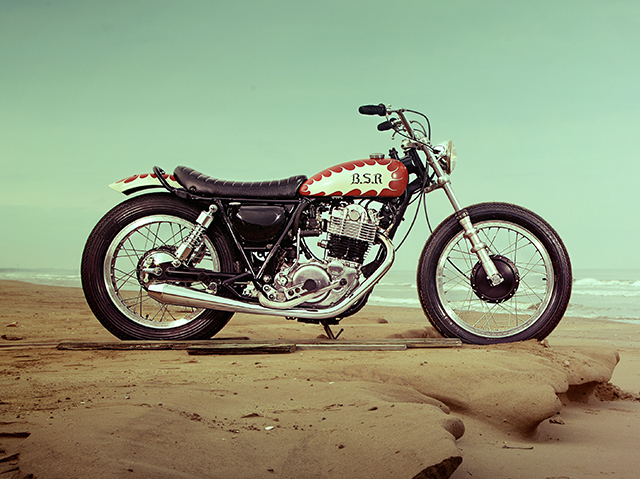 Using this DNA, he then created the SR400 B.S.R to display to the world the true spirit of Japanese customization as well as his personal love of old school sand racing. 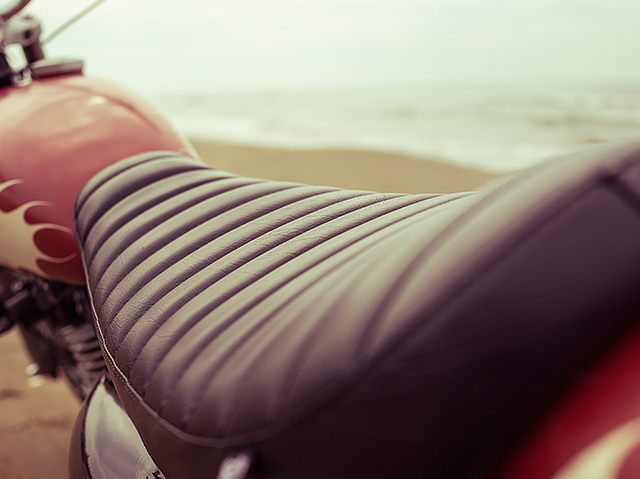 Focusing on simplicity and the overall flow of the bike’s lines, the B.S.R not only has an elegant yet purposeful silhouette, look closer and you will discover stunning attention to detail. 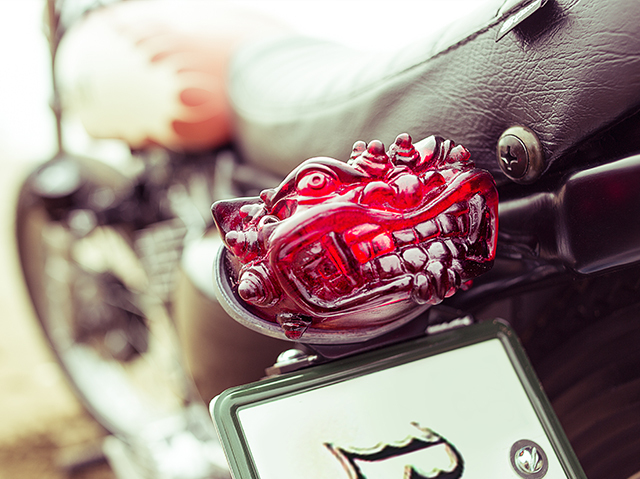 The handcrafted petrol tank took hours of work to form its beautiful shape from sheet metal, mirroring the flowing lines of the SR’s tank but reducing its volume to create the perfect overall visual impression of balance while accentuating the air-cooled single cylinder engine’s presence. 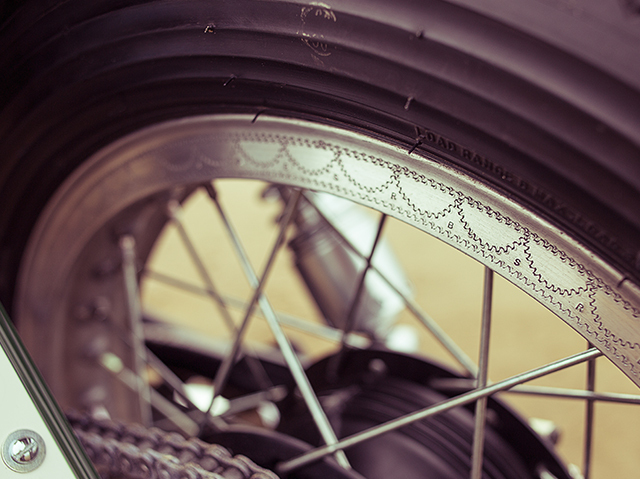 Hand etched markings on the wheel rims, tank and oil tank cap identify the B.S.R as a truly unique project while classic touches such as the Ceriani forks and H-shaped vintage wheel rims make it stand out as a piece of moving art.